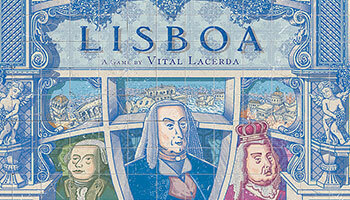 Lisboa is a game about the reconstruction of Lisboa after the great earthquake of 1755. On November 1st, 1755, on All Saints' Day, Lisboa suffered an earthquake of an estimated magnitude of 8.5-9.0, followed by a tsunami, and 3 days of fires. The city was almost completely destroyed. The Marquis of Pombal, Sebastiao Jose de Carvalho e Melo, was the prime minister at the time, and the king put him in charge of the reconstruction of Lisboa. The king and the prime minister immediately launched efforts to rebuild the city. On December 4th, 1755, little more than a month after the catastrophe, the chief engineer of the realm, Manuel da Maia, presented his plans to rebuild Lisboa. Maia presented five options, including abandoning Lisboa altogether, rebuilding with recycled ruins, widening the streets, and even building a completely new city. The chosen plan boldly proposed razing the entire Baixa quarter and "laying out new streets without restraint". Eugenio dos Santos and Carlos Mardel were the architects in charge of the rebuilding. In less than a year, the city was cleared of debris. Because the king wanted to have a new and perfectly ordered city, he commissioned the construction of big squares, straight, large avenues, and widened streets, with related types of businesses as if each street had its own motto: A Baixa de Lisboa. 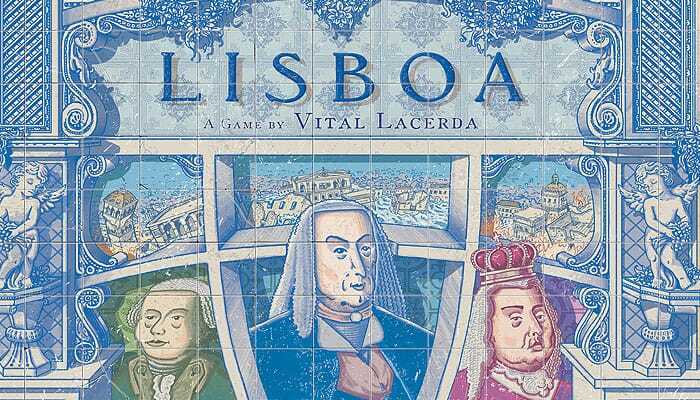 A game of Lisboa is set over a span of 22 years. You play the roles of influential nobles who survived the earthquake, tsunami, and fires, and who will help in the reconstruction and economic development of the new city to receive graces from the king and the marquis. You will work with the architects to build Lisboa anew in order to gain Influence, and the most important thing of all: Wigs. 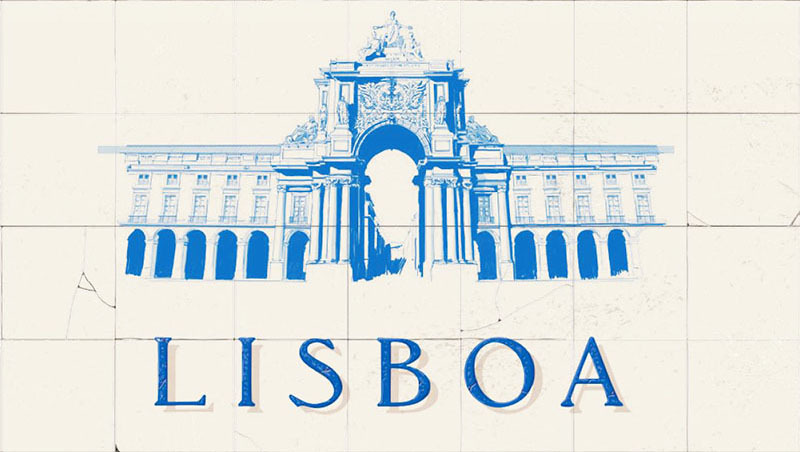 Lisboa is played on a real map of downtown Lisbon. During the planning of the downtown project, the type of business permitted in each street was previously determined. The economic motor is driven by the wealth of the royal treasure and this treasure is controlled by player actions during the game, making each game a totally different experience. The game ends after a fixed number of rounds and whoever gathers the most wigs by the end of the game wins. 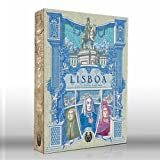 Lisboa is played in rounds. Each round, all players play one turn. They may place one card on their display or replace one card from this display. During the game, players schedule hearings to get character favors, such as commerce, construction, and openings. The iconic buildings score the stores and stores provide income to the players. Players need to manage influence, construction licenses, store permits, church power, workers and money, with the workers' cost being dependent on the prestige of the players. One needs Influence in order to be accepted into the higher circles of the Crown. Influence is the best way, and sometimes the only way, to gain access to the Nobles and their benefits. (1677 -1768) Manuel da Maia was the kingdom's master builder. He had the responsibility of choosing, approving, and managing every new architectural project in the city. Architect Eugénio dos Santos, who was the main architect behind downtown projects and the Praça do Comércio, one of the most important works of Lisboa. There are 4 different Ship cards in the game. Ship cards are identified by their hull size and color. State Officials: You will send your State Officials to work in Public Buildings when you take the king's Noble action. Also, having your State Officials in a Noble's office makes it harder for other players to visit that Noble!